I recently went out with a "meetup" group for plein air painting in the Sedona and Verde Valley area that was organized by Michael Chesley Johnson. I will be taking a Plein Air Essentials class from him later this month. 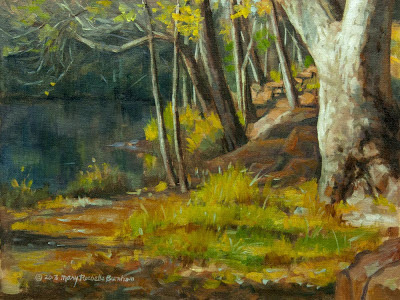 This painting was inspired by his demonstration of "Sycamore Shadows" at the Sedona Arts Center.